The Dallas Mavericks will host the Miami Heat on Wednesday night in the NBA. The Mavs (26-30, 20-8 home) have made a lot of moves in the last week, mostly with the next season in mind. They traded most of their starting lineup for superstar Porzingis (recovering from injury) and cap space, but despite this they remain competitive – mostly due to the exceptional play of rookie sensation Luka Doncic. The Mavs won 3 of their last 5 games since they reshuffled the lineup, with the two losses coming against top opposition (Bucks, Rockets). The Heat (25-30, 14-14 away) are going through a very rough patch of form right now. Miami is fighting for a playoff spot in the weak Eastern Conference, but has dropped out of the picture momentarily after losing 6 of the last 7 games. The Heat will be desperate to bounce back tonight in Dallas in order to not lose contact with the 8th seed in the East. Bet on Mavs vs Heat and claim your 100% (120 Eur) welcome bonus at LSbet now! 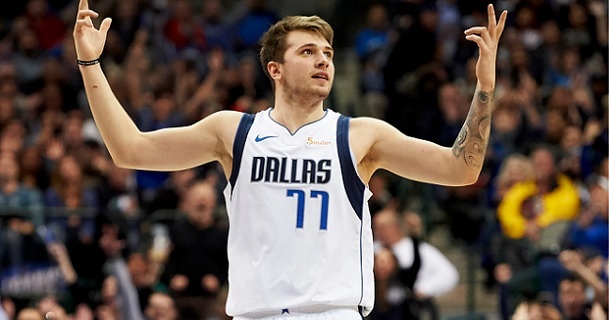 Team news: The Mavs will continue to be without Barea and Porzingis, but they don`t have any new injuries. The Heat are also healthy with the exception of long term absentees Dragic and Jones Jr. These two sides seem comparable in strength right now after the Mavs lost some starters, but Dallas still has the best player in Luka Doncic, and at home the Mavs have been exceptional all season (although Heat on the road are pretty good as well). The Mavs also have a positive record against the weaker Eastern Conference (12-0). Not to mention that Dallas has been in much better form recently. All these facts indicate a home win is likely tonight. The Mavs continue to be the best ATS team in the league, covering the spread an amazing 62.5% of times. Miami is somewhere in the middle of the pack, being 50.9% ATS. Although I was clearly right with my preseason prediction of Mavs being criminally underrated by the bookies (their ATS record proves it), unfortunately I haven`t been very inspired when picking them this season. Hopefully that will change here, as they should take care of business against this Miami side. My tip will be Dallas to win. The handicap stands at -2.5 points but these are two of the teams which play the most close matches in the league, so I`ll be satisfied to stick with the odds for the straight win. Prediction: Dallas Mavericks – Miami Heat 111 – 104.